The pièce de résistance. 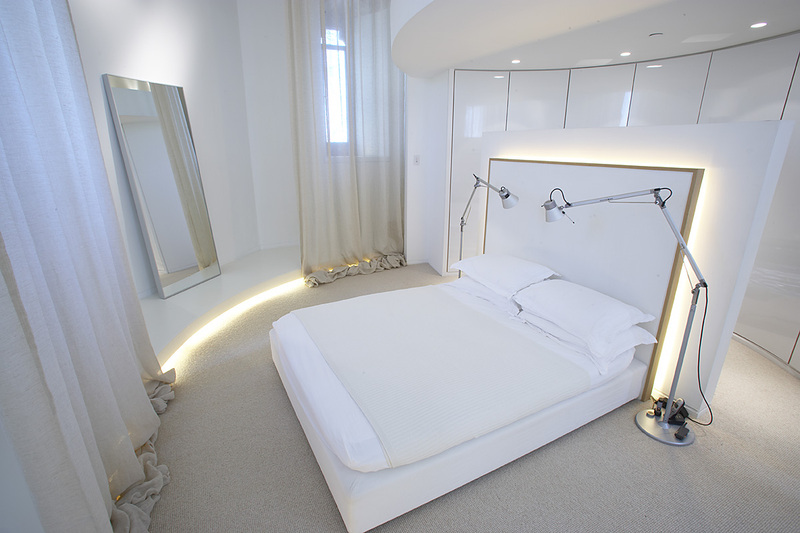 A stunning, almost theatrical, double-height space, with en-suite bathroom floating over the bedroom below. 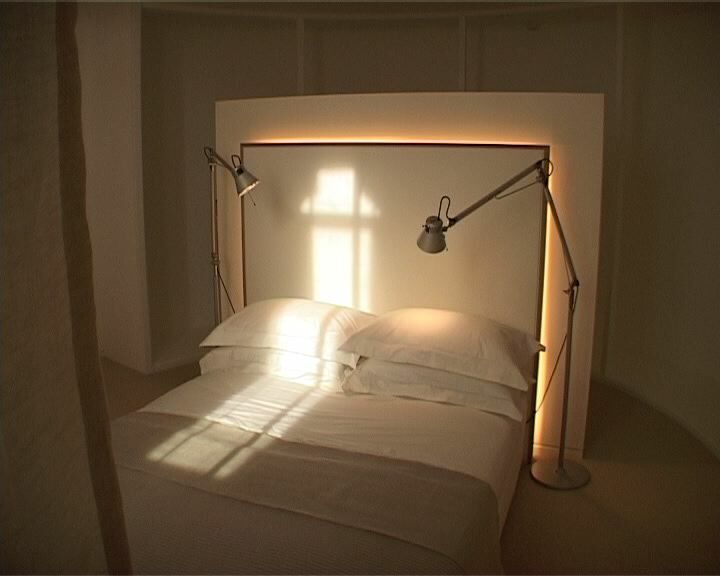 The low, modern bed sits against a backlit headboard, with curving walk-in wardrobes behind. A built-in dressing table completes the dressing area. The room is over 6m high and has three large linen curtain panels hanging down to form an inner circle surrounding the bed. The en-suite gallery above juts into the room and is accessed by a modern oak staircase. The ensuite mezzanine bathroom for the master bedroom floats over the bedroom itself. The bath sits on oak blocks, the twin basins on an Iroko table. The loo and best walk-in tubs are set on floors of Portland limestone and travertine mosaic. Lighting is sensitively installed throughout.